Google Gapps (or Google Apps as they are meant) are the proprietary applications by Google included in many Android devices. These are the core Google apps that are found in almost all phones and tablets. Most of the Gapps Google applications can now be found and updated via the Google Play Store. 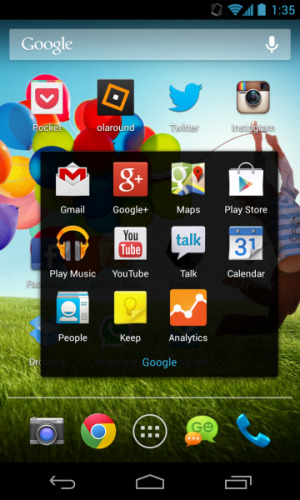 These apps are always running in Android under the process ofcom.google.process.gapps! Some of the Android Gapps included are: the Google Play Store itself, Google Talk, Google Sync (for adding and synchronizing Google accounts), Google Backup Transport, Car Home, Gmail, Google Maps, YouTube, Google Search, Google Voice Search, Google Music, and Google Docs.